Avalon is a sustainably designed, 86-acre mixed-use community located in the heart of Alpharetta, GA, quickly becoming known as “The Technology City of the South”. Phase I opened in October 2014 to national acclaim with 380, 000 square feet of experiential shopping and dining options, 108, 000 square feet of Class A loft office, 250 luxury rental units, and 101 single family home sites. 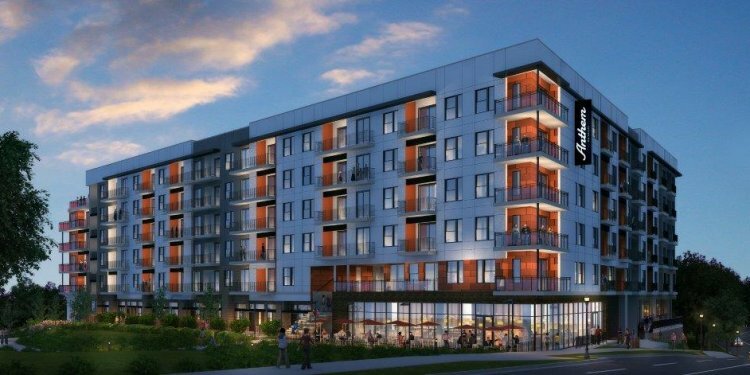 Avalon is the South’s first “urbanburb, ” a walkable, urban experience in a suburban setting, with a blend of curated uses that maximize the energy level of the property throughout the day and into the evening. In designing the Avalon Experience, NAP focused on the human experience, rather than the buildings, and on “heart share” rather than market share. It’s more than just another place to go, it’s a place to be—a hub of local art, music and activity that delivers the luxury of time well spent. The retail, which is 98% leased, features carefully curated shopping and dining options that align with an upper upscale hotel experience and provide an added amenity to guests unlike any other. Avalon is anchored by Whole Foods and Salud Cooking School and an all-premium Regal Cinemas with many other celebrated brands including Anthropologie, Athleta, Calypso St. Barth, Johnny Was, Lululemon, Orvis, Tommy Bahama, J. Crew, Banana Republic, Gap, West Elm, Crate & Barrel, Vineyard Vines, Pottery Barn Kids, Kendra Scott, Fly Wheel, Road Runner Sports, Columbia and more. The dining options feature 15 of Atlanta’s most celebrated chefs and James Beard nominated restaurateurs as well as first to market national brands in unique settings with outdoor and rooftop seating. The chef driven restaurants create an unparalled draw to Avalon including Giovanni DiPalma’s Antico Pizza Napolitano and Caffe Gio, Charleston’s Steve Palmer brings Oak Steakhouse and Colletta, Ford Fry’s The El Felix, Brian Lewis’s Bocado Burger Bar, Shaun Doty’s Bantam + Biddy, Ted’s Montana Grill, Kona Grill, Marlow’s Tavern, CRÚ Food and Wine Bar, Pinkberry, Goldberg’s Bagel Co. & Deli, and Myrna Perez’s Lotta Frutta. Upon completion of Phase II, Avalon will feature an additional 80, 000 square feet of retail, 550, 000 square feet of Class A office towers, 276 luxury rental units, and a 325 room hotel and conference center.